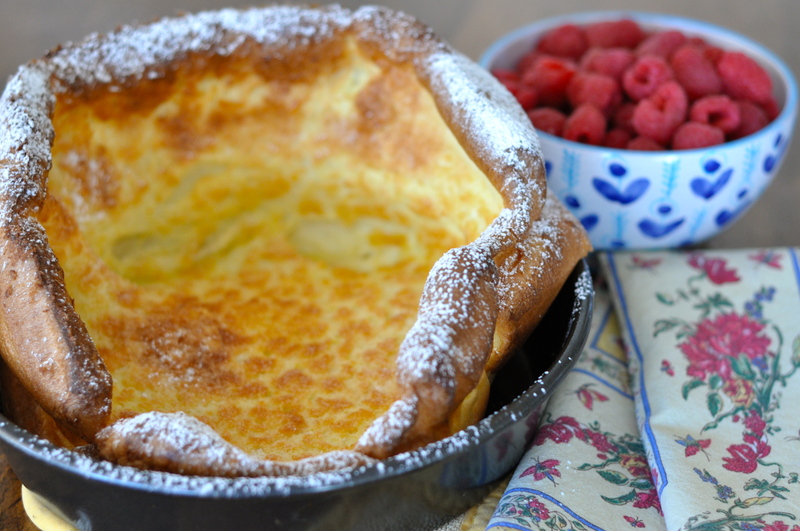 Kids love baked German pancakes. 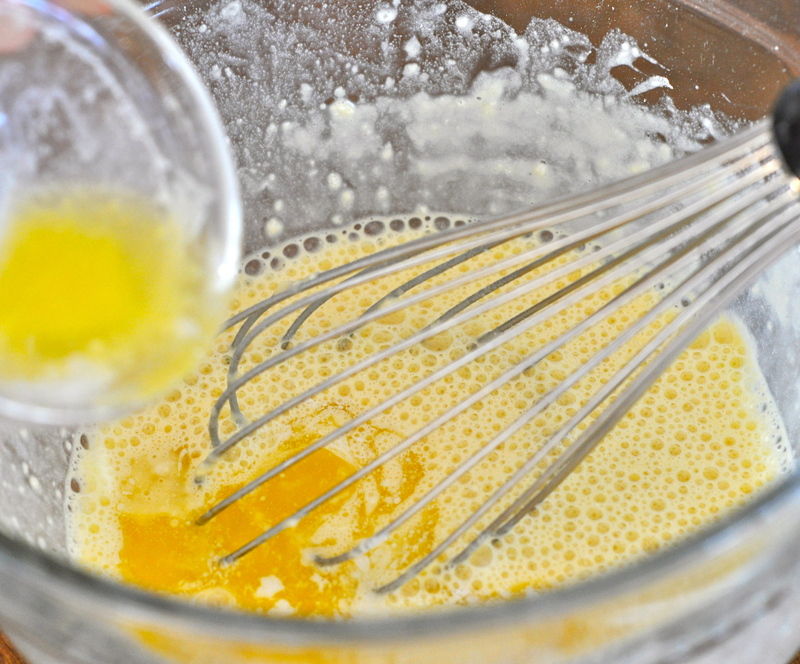 The eggy batter is cooked in the oven rather than on a griddle. 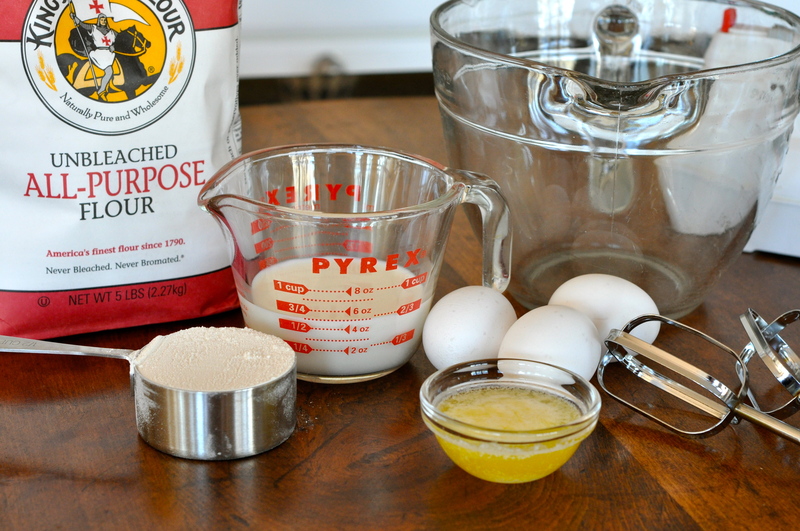 Because more eggs are used there is a lot more protein than in regular griddle pancakes. While baking the pancake billows up and turns the most delicious golden brown. It’s a perfect lazy weekend morning endeavor. Very, very easy and quick to make but special enough to warm hearts. Take it out of the oven, sprinkle it with powdered sugar and serve it quickly. A little butter and syrup to finish. Awww…a heavenly moment to the start of the day. Be forewarned I am indulging myself today and allowing a wee bit of meandering before sharing the recipe. Don’t be alarmed. I promise we will get to that scrumptious baked German pancake. Trust me. I don’t admit this often but I have a treasured collection. Not of rare coins, baseball cards or rocks. I like collecting juicy little nuggets of entertaining information. My little cache of juicy nuggets is always with me. That way if things get a tad dry or boring I can whip it out and jazz things up a bit. Much like the coin collector at the weekend flea market, I frequently entertain myself by trolling around collecting my little nuggets. When I come across something really random twice in a row from completely different sources it is deemed merely a coincidence. However, if it happens three times in a row it is serendipity. And I always perk up and pay attention when I have a serendipitous moment. We’ve all had them. It’s God’s way of giving you a wink and a nod with a sparkle in his eye. Go ahead, jump in and explore this a little. You never know where it will take you. Drop that smooth stone in the pond and see where it ripples in your life. So that explains why I am now the proud owner of “The Breakfast Book” by Marion Cunningham, published in 1987 and available to be in my hands almost immediately thanks to serendipity and Mr. One Click over at Amazon. 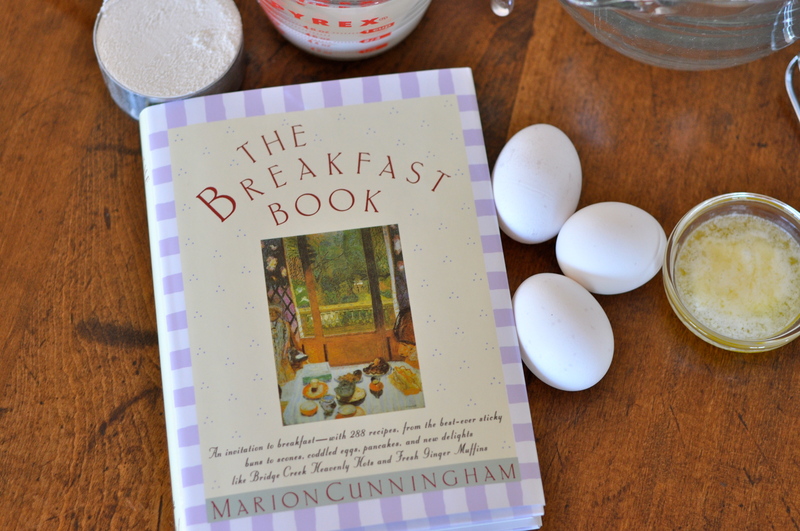 Ms. Cunningham (of The Fannie Farmer Cookbook fame) and The Breakfast Book are beloved by many and revered in the arena of American home cookery. I haven’t spent a lot of time with her yet but am looking forward to. Preheat oven to 450 degrees F. Butter a cake pan or an oven proof skillet. 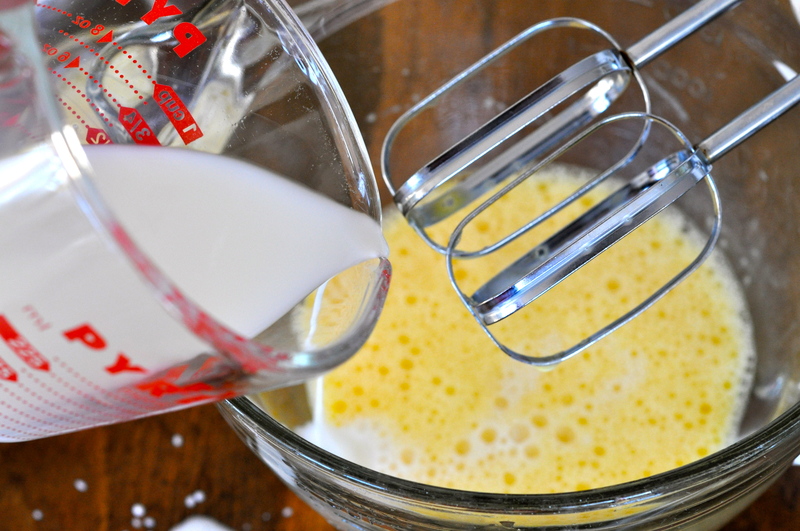 Break the eggs into a mixing bowl and beat until frothy. Pour in the milk and blend well. 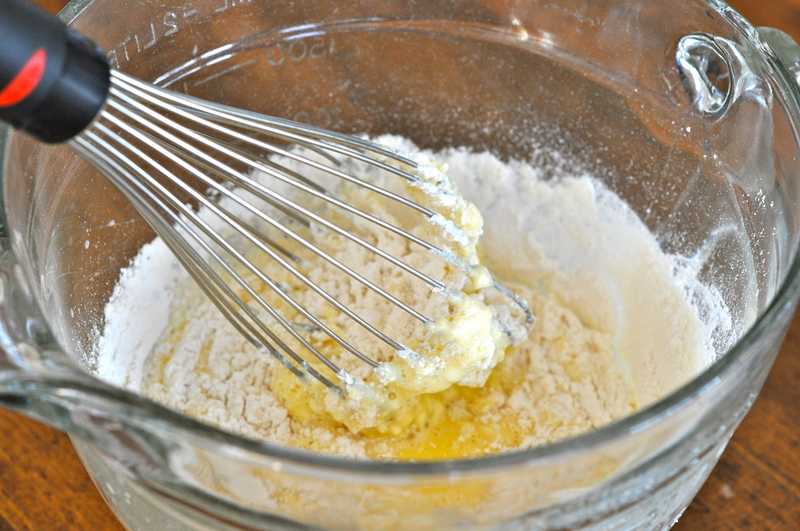 Sift in the flour and salt while whisking steadily to blend and smooth. 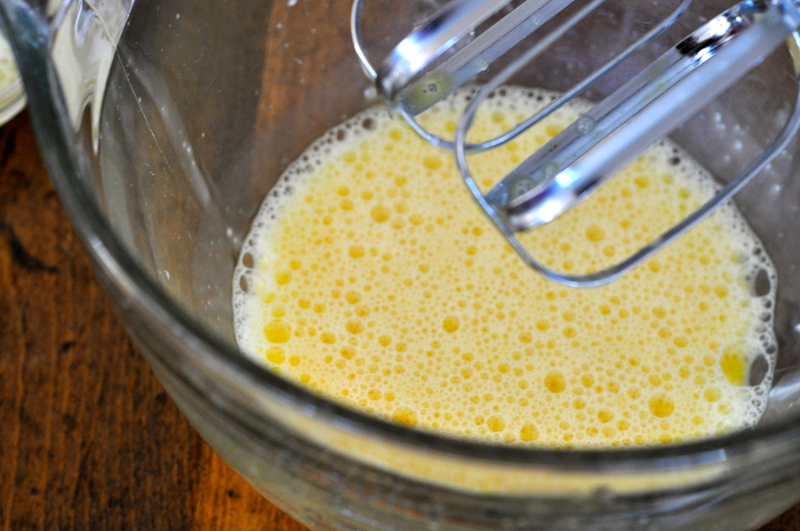 Pour in the melted butter and mix so the batter is smooth. Pour the batter into the greased pan. Bake for 15 minutes at 450 degrees. Then quickly turn the heat down to 350 and cook another 10 minutes. Serve immediately with syrup and butter. Pour in the milk and blend well. Add vanilla. There’s a restaurant in Fort Worth Texas, Ol’ South, that serves German pancakes drenched in both powdered sugar and lemon juice. My husband and I both ADORE them and miss them so very much. I think I’m going to have to give this recipe a try this weekend, a bit of home will taste so great. Thanks for publishing this. 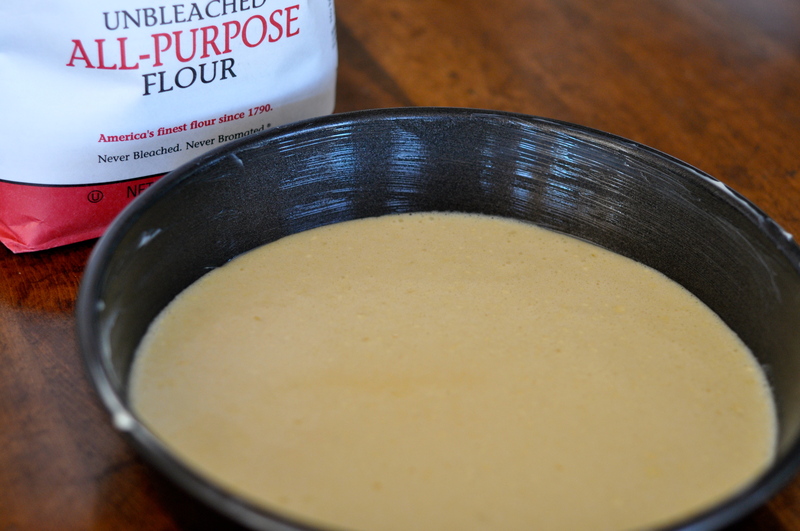 Thanks for sharing Good luck trying the recipe – it is pretty foolproof and so good! You can do it Jackie!! How fun! And I will call it coincidence – just shy of serendipity, mind you – that the author shares a name with one of the best-loved television characters of all time: Richie Cunningham’s mom from Happy Days.